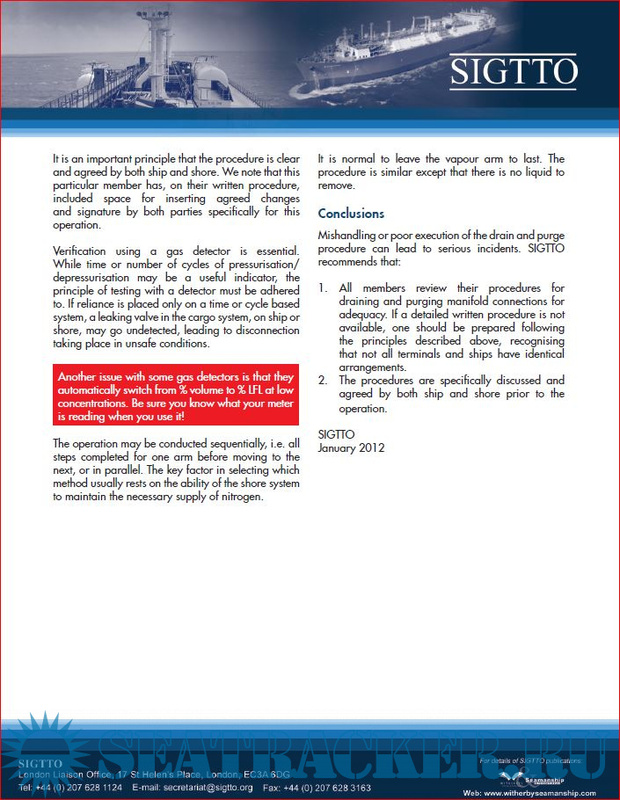 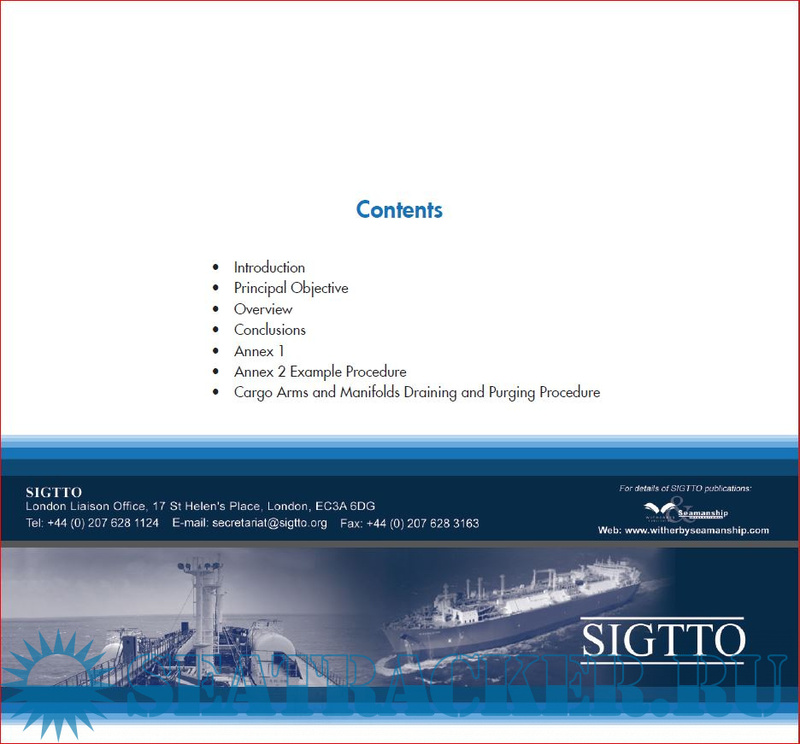 Description: SIGTTO has published an advice on LNG transfer arms and manifold draining, purging and disconnection procedure which has been prepared following reports from a number of their members that there appears to be confusion and misunderstanding among some ship and jetty operators over the safe conduct of disconnection procedures following loading and discharge. 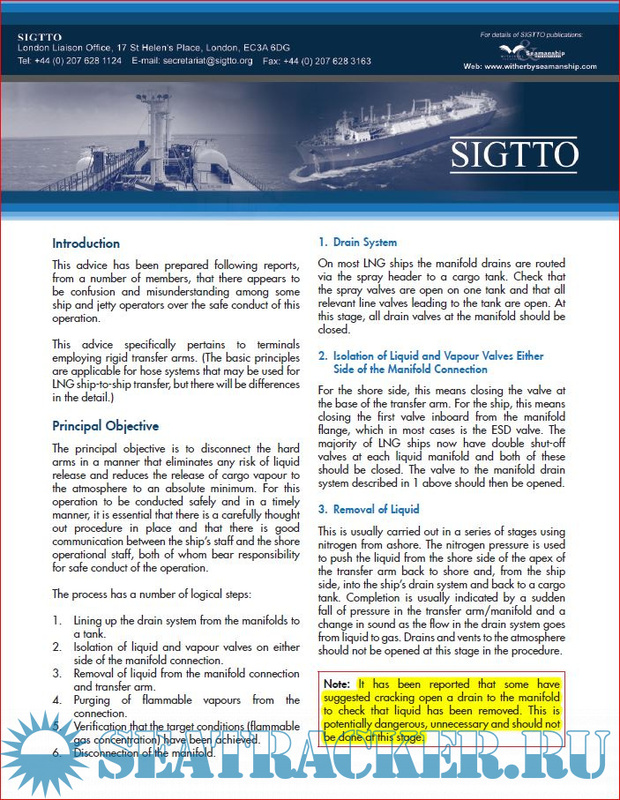 The ultimate goal of disconnecting the vessels' cargo handling equipment from the jetty equipment is to eliminate any risk of liquid release and reduce the possibility of vapour release. 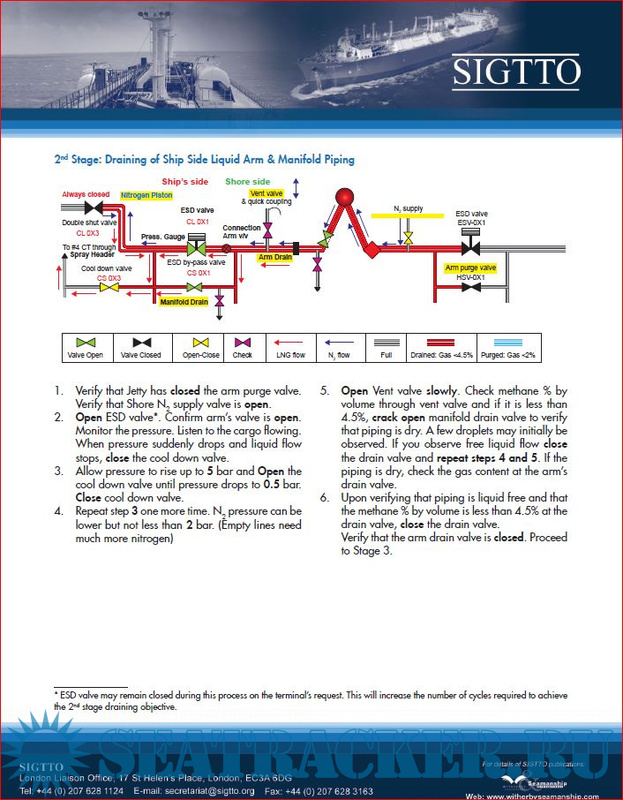 The purpose of the advice is to promote good industry practice, by all operators reviewing their procedures for draining and purging manifold connections adequately and these procedures being specifically discussed and agreed by both ship and shore prior to the operations commencing.